The Devils open the Calder Cup Playoffs Thursday when they take on the Marlies for Game One. The Devils face off against the Marlies for the first round of the 2017 Calder Cup Playoffs. 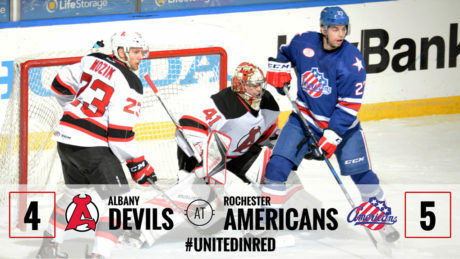 The Devils fell 5-4 to the Amerks Friday at Blue Cross Arena. 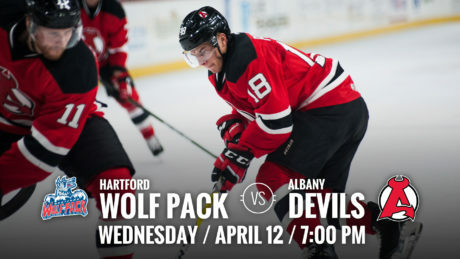 The Devils face off on home ice Wednesday at 7 pm against the Wolf Pack. 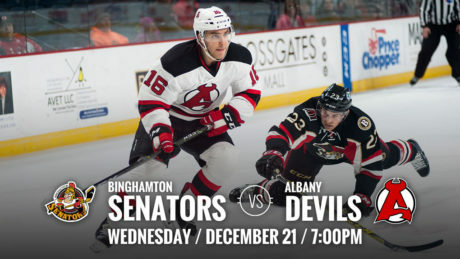 The Devils will face off against the Phantoms Friday at Times Union Center for a 7 pm puck drop. 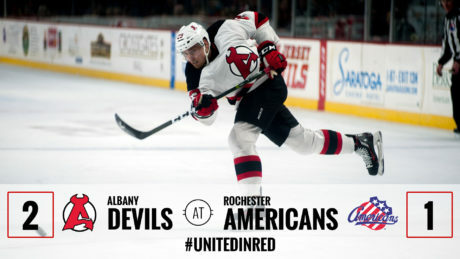 The Devils shot their way to a 2-1 victory over the Americans Friday night. 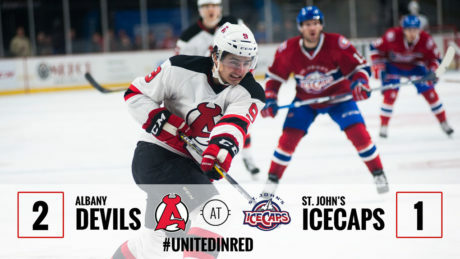 Joe Blandisi netted the OT winner for the Devils Sunday against the IceCaps to take a 2-1 victory. 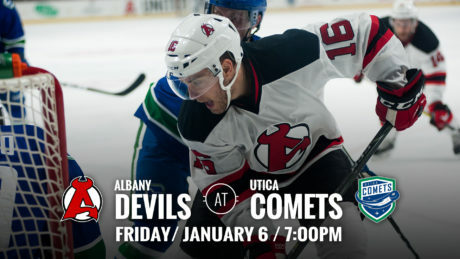 The Devils look to take their streak on the road as they travel for a 7 pm puck drop at Utica Friday. 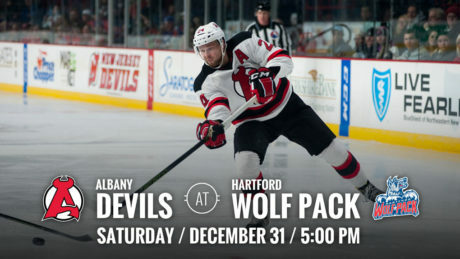 The Devils travel to face the Hartford Wolf Pack for a 5 pm New Years’ Eve puck drop at XL Center Saturday. 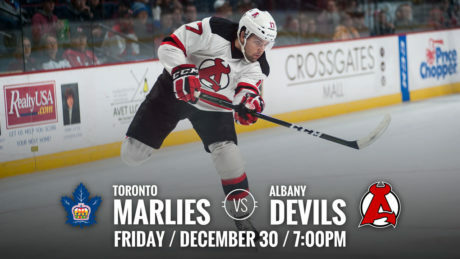 The Albany Devils will take on the Toronto Marlies Friday at Times Union Center for a 7 pm puck drop. The Devils take on the Senators for the fifth time this season and last time at Times Union Center. 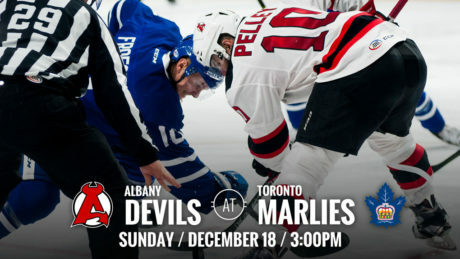 The Devils face the Marlies for the second time this weekend. Albany came out on top in the first outing, 3-1.